Please visit the home of SkyWatch Friday for skies around the world. I like the lighting on the water, kinda eerie, but beautiful. I like the light in this photo, Carver! Nice work catching it in between the raindrops! Hasn't been a lot of opportunity for that in the last week or so, yeah? Great landscape. I like the light in it. Now those are moody skies! And beautiful reflections in the water! What a wonderful capture, Carver, as always! Hope you have a wonderful weekend and with some lovely sunshine! Oh, those large lowering clouds reflected so beautifully in the waters. Great shot of sky!Have a nice weekend! That looks very similar to a lake near here in Southeast Missouri - Lake Wappapello! Great capture! It looks magical, the water seems to be solid somehow. Wonderful shot, Carver. Stunning but I feel like something will gonna come out on that lake, just kidding! Happy SWF! Great photo of a moody sky complete with a reflection too. Happy Sky Watch Friday. very interesting skies and subject matter, i love your water views, its very peaceful! Wow, we get to see this amazing sky NOT once but twice! What a beautiful reflection. And...such beautiful light and composition. A beautiful capture of the skies reflection. Wonderful photo, happy skywatching! This shot looks like a beautiful painting - nature is awesome. Very good Sky Watch photo...we too have had our share of powerful thunderstorms here in the mountains of NC and were thankful for the rain to relieve the 8 yrs drought we have had. The soft light in the water is very, very beautiful. This is a wonderful shot. Not only is the sky beautiful but beautiful TWICE! I like your title, very appropriate for this capture. Weather has been like this in Singapore as well. Toggling between rain and sunshine indefinitely! what a peaceful setting. beautiful skies and reflection in the water. Lovely shots! It always amazes me how quickly things 'green up' after rain. I like your 'predatory bird' - it does look quite threatening! What a stunning view and long shot! I love the matte reflection of clouds! There's a beautiful light in this shot, and I like the soft reflections. Amazing reflection of the dramatic clouds! 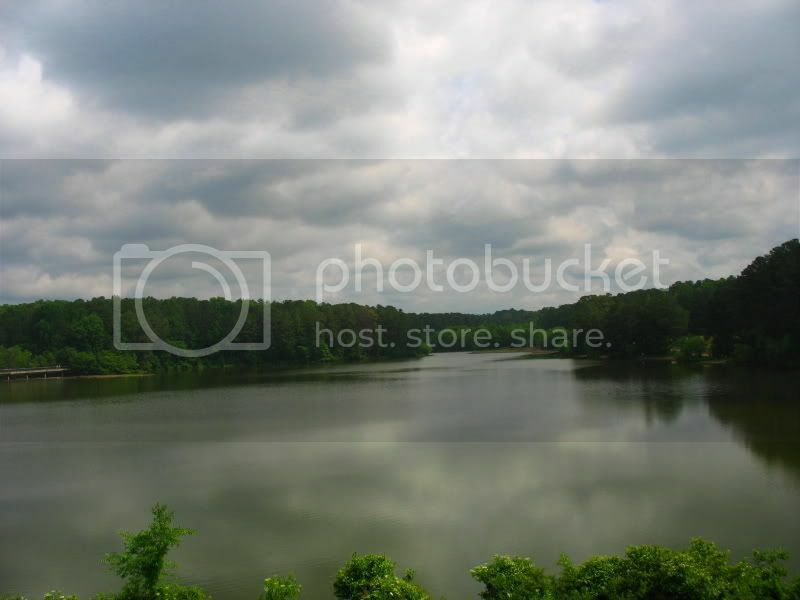 Carver: Neat cloudy view over the lake. Wonderfully green light on the water, well caught! You've managed to capture those intense colors wonderfully. Even storms show some beauty. Nice capture!